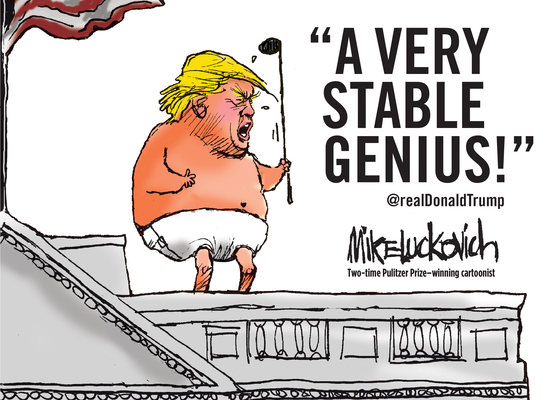 A Very Stable Genius (Paperback) | Beach Books Inc.
Mike Luckovich is a Seattle native and has worked for the Atlanta Journal-Constitution since 1989. His cartoons are reprinted in newspapers across the country. He won Pulitzer Prizes in 1995 and 2006 for his editorial cartoons and the 2006 Reuben Award, presented by the National Cartoonist Society, for best cartoonist. His previous books include Lotsa Luckovich and Four More Wars!